Jump to video Does Gary Johnson have a shot in 2012? Possible 2012 presidential hopeful, former Republican Gov. 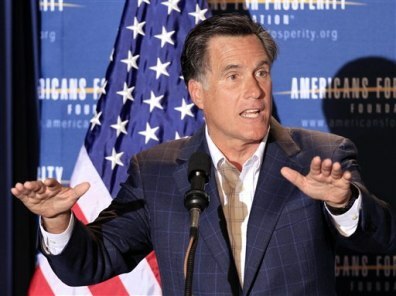 Mitt Romney of Massachusetts speaks during a dinner sponsored by Americans for Prosperity, Friday.